Encyclopaedia Metallum: The Metal Archives • View topic - Metal Radio Shows?? Alright, I'm having a difficult time finding metal radio shows...I know they're out there, though. I'm looking for the kind of shows that would possibly play my songs and help me promote it (shows with a DJ(s)). However, I don't even know where to start. The only thing I can find is automated metal stations along the lines of Pandora stations. What I want to find is a listing of college radio stations/shows and online stations/podcasts. Does anyone have a good source, like an up to date list of known metal stations? I tried googling it, and I searched on here, but maybe I'm just not using the right terms... Any help or a point in the right direction would be greatly appreciated! There was a thread here recently along those same lines. One show that fits your perameters is 'metal breakfast radio', a fav o' mine. Yea, I saw that thread...didn't really point to a listing like I was hoping for though. Thanks for your recommendation though, I'll check them out. BTW, it goes without saying, the guy knows english 100%. It is mostly a local radio kind of thing, but a lot of devout metalheads listen to it. Good luck. "My horse moved on... hoof after hoof he raised... and never stopped again...."
on Thursdays, 7 to 9 eastern standard time. I listened to it a few times and its mostly classic and 'forgotten classic' Scandinavian bands. I haven't heard any of the other DJ's but there could be something you like there. *sorry, just re-read your post and see you're looking for a show that might play your music, I don't think they do that at the site I linked. I'll leave the post in case it helps anyone else. Might want to check out Root of All Evil Radio Show. It airs from 1-6 a.m every Saturday on KFAI (90.3, 106.7 or streaming online). I'd suggest looking up colleges around you, seeing which ones have student run radio stations, and contacting those to see how you might send in a demo of your band. College radio stations love local music and the closest ones would probably be more likely to play your band than out of state or online stations. There's no host but to be fair I think they can be a make or break with radio stations especially with metal, so it's pretty much a radio station that streams all kinds of underground metal. Well worth the $1.99 in my opinion. It's not a radio show it's a podcast, but what's the difference anymore in the show itself? 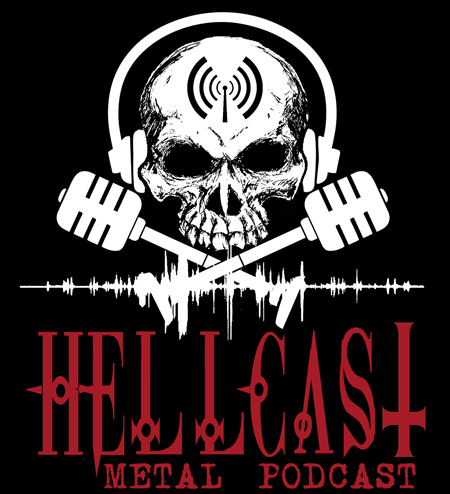 I host HELLCAST | Metal Podcast, we play a bunch of stuff from bigger bands to total nobody bands who submit their material for promotion (so anyone reading feel free to contact, see website). We have discussions, interviews and guests sit in with us, things can be on a more serious conversation to absolute silly. Check it out, hope you dig it! This is a pretty good one from Chicago. Living near Atlanta has the advantage of being within range of two pretty quality metal shows, Georgia Tech's WREKage, which has been around since the mid 80s (and introduced me to things like Possessed, Obituary, Death, and Mercyful Fate when I was in middle school), and Georgia State's We're Not Gonna Take It, which, though it started as kind of an irritating joke -- duh, the name -- has improved significantly in the recent past. Contact info and playlists are at the links. You can actually listen to the past week's episode of WREKage at the link; they keep them til the airing of the next show. It's on Sirius XM Metal, but pretty sure it streams for free. This is my buddy's radio show at KSSU (Sac state.) he plays a good mix of osdm and black metal but also some thrash. He always promotes local bands and stuff so he probably wouldn't be opposed to giving you guys a play. Haven't checked on this topic for a while, but I'm glad I remembered it just now! Thanks for all the recommendations--keep 'em coming! Keep the recommendations coming--I'm going to make a small list of places for unsigned bands to get reviewed and played on the radio/internet after my EP comes out! So far I have about 40-50 review sites (just a few are the big sites), and about 20+ radio stations. KMSA 91.3 FM is a student-run campus radio station at Colorado Mesa University in Grand Junction. They go into their "Metal Authority" programming mode Friday evenings and all-day Saturdays (when not interrupted by pesky sports broadcasts). During periods when a physical DJ is present, they accept and play listener requests; and they try to cover as many sub-genres as possible. They can be heard on the internet at http://www.kmsa913.com/ for those who don't live in the vicinity. Thanks! I'll shoot them an email soon and see if they'll put our stuff on the air! They claim to love the underground and finding new bands, so give it a try. Don't worry about a language barriere - Danes are okay at English. Perhaps you should worry more about the time difference, in case they want to do a phone interview with you, haha. I actually have a hard time motivating myself to turn on the radio to listen to it... They always play all the same bands. I don't have anything against King Diamond, Orchid or Slayer but really, the radio host needs to control his music trips. Killer show called Music That Kills Puppies out of Philly. You can get it on terrestrial radio (91.7 FM) or streaming online. Plays a decent mix of death, black, thrash, and grind. Highly recommended.